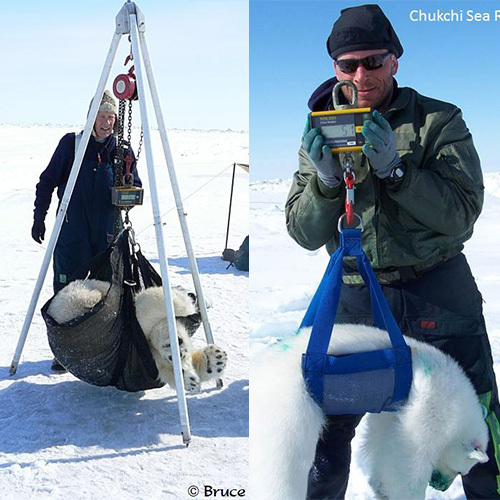 Polar bears travel freely in the Chukchi Sea, between the US and Russia. 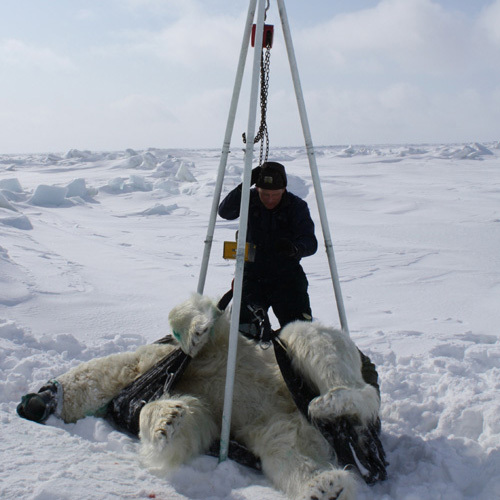 US and Russian scientists conduct together a polar bear research, during which they weigh them and track their movement, using our Ron Crane Scales. Exceedingly small and lightweight, Ron Crane Scales and Dynamometers are high accuracy (0.1% of full scale) portable systems that are perfect for low headroom applications.